Are You Ready for Another Studio C Reverse Mad Libs? 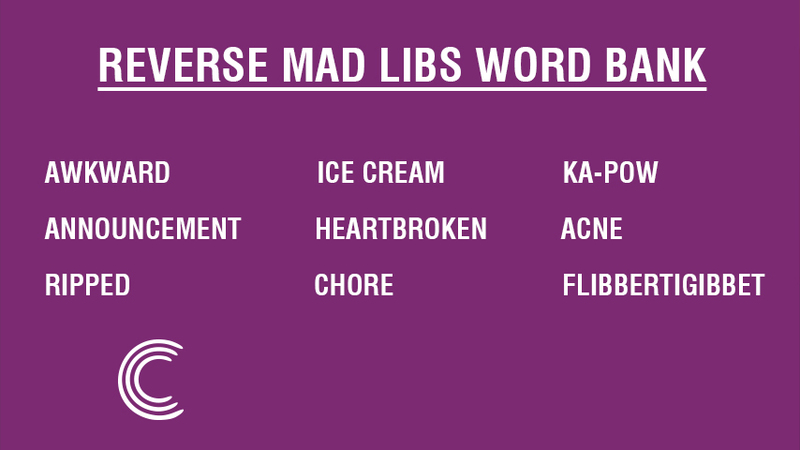 By now, it's no surprise that these reverse mad libs stories are crazy! And the good news? They're only going to get crazier. 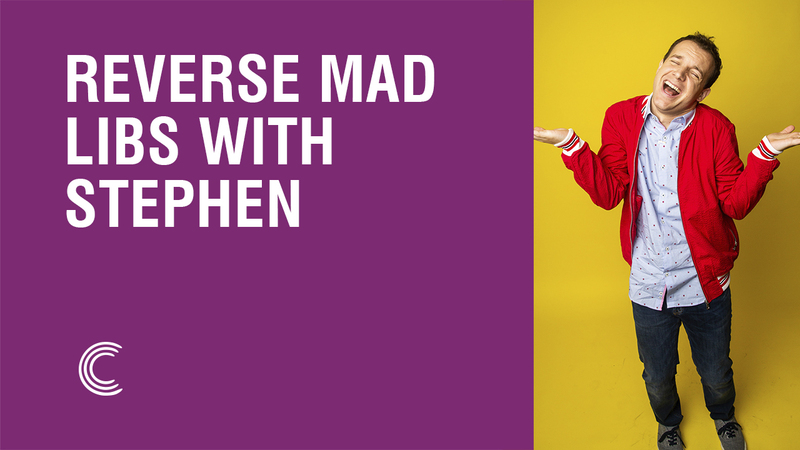 This week, Stephen is here and ready to show you his unique twist using our nine words! 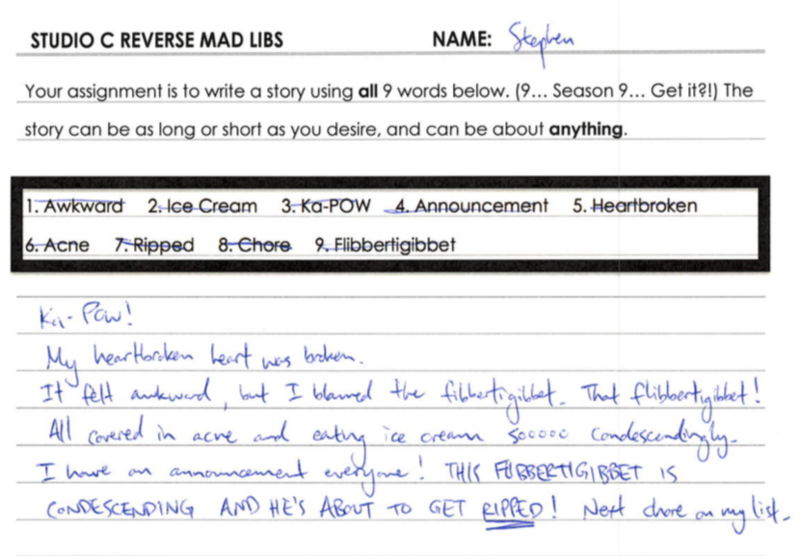 See if you can you spot all nine words in Stephen's story! Ka-Pow! My heartbroken heart was broken. It felt awkward, but I blamed the flibbertigibbet. That Flibbertigibbet! All covered in acne and eating ice cream soooo condescending. I have an announcement everyone! THIS FIBBERTIGIBBET IS CONDESCENDING AND HE’S ABOUT TO GET RIPPED! Next chore on my light. Can't wait another week for a new story? 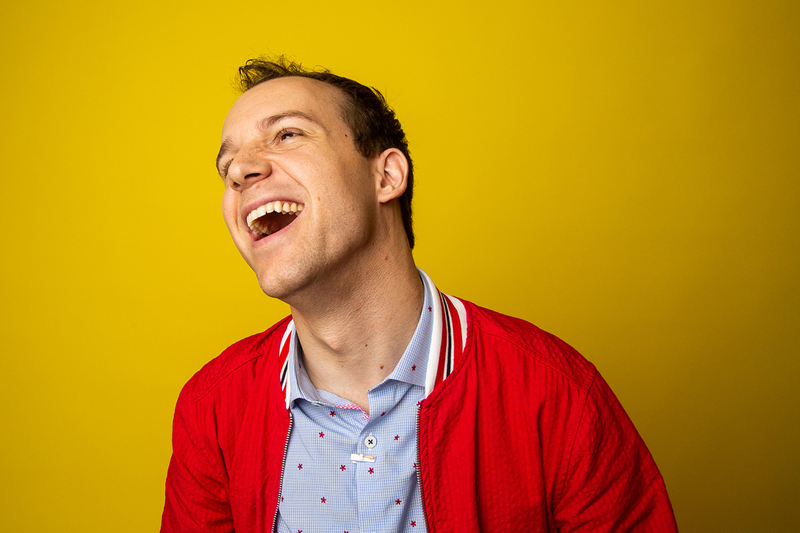 Be sure to check out Adam Whitney, and Stacey's stories!